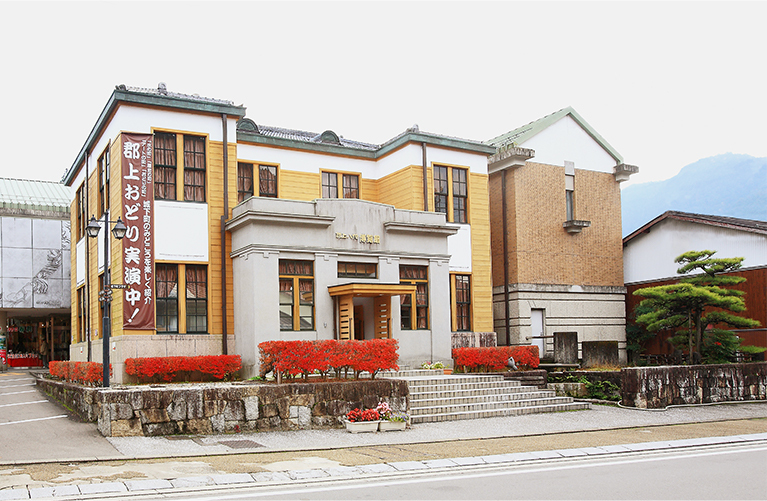 Built in Taisho 9 (1920), the museum, which resides in what was once a tax office, is a combination of modern and retro. 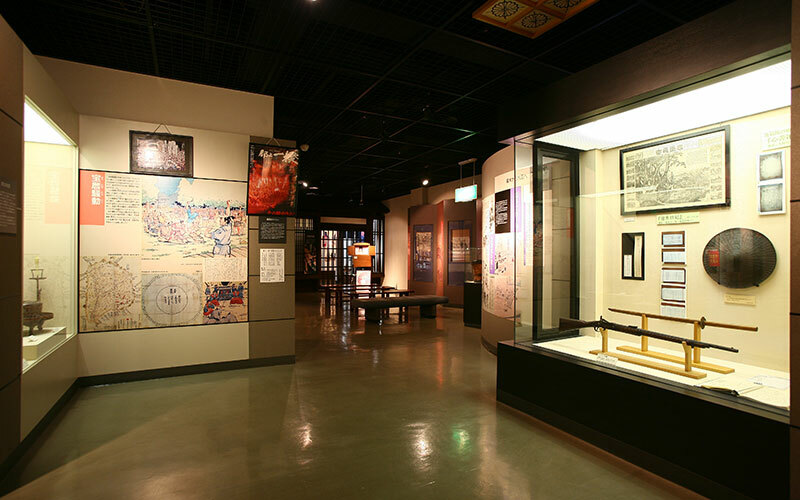 The museum is divided into corners introducing exhibits on “water”, “history”, “skills” and “Gujo Odori”. 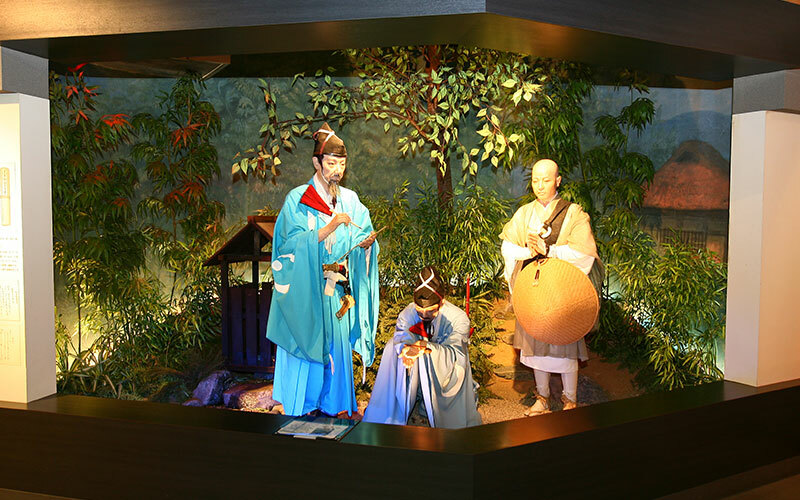 Use Hakurankan as a starting point for exploring the beautiful castle district and Gujo- Hachinman on foot. Advanced booked groups can receive a guided tour from our helpful staff. (First-come-first-served basis). If you make a reservation, the parking fee will be free for 3 hours from entry. Please make a reservation. * Please make bus parking reservations in advance. 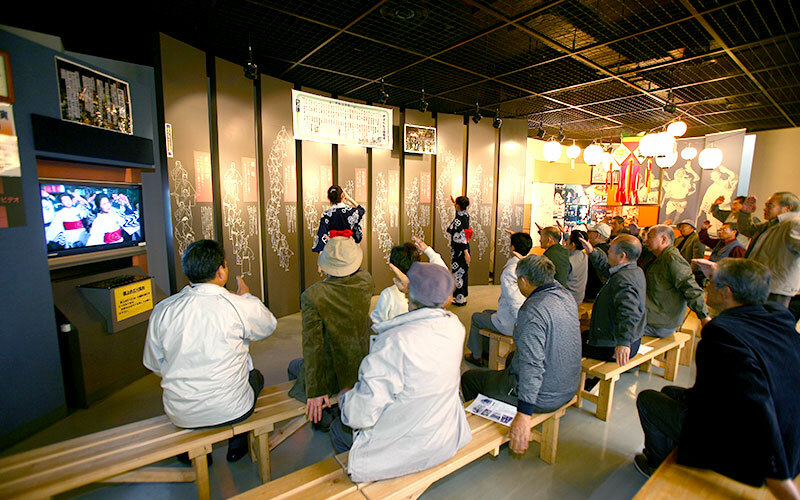 Hakurankan holds Gujo Odori Demonstration everyday. 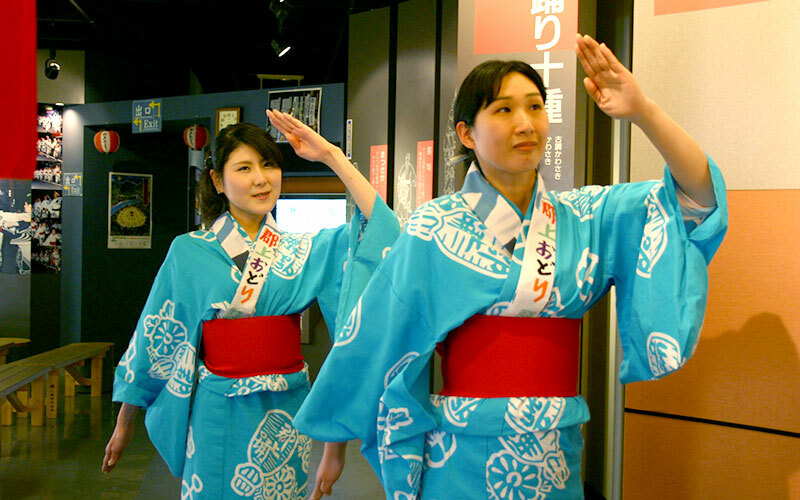 Staffs in Yukata introduce simply the contents and the secret stories about all 10 types of dances. 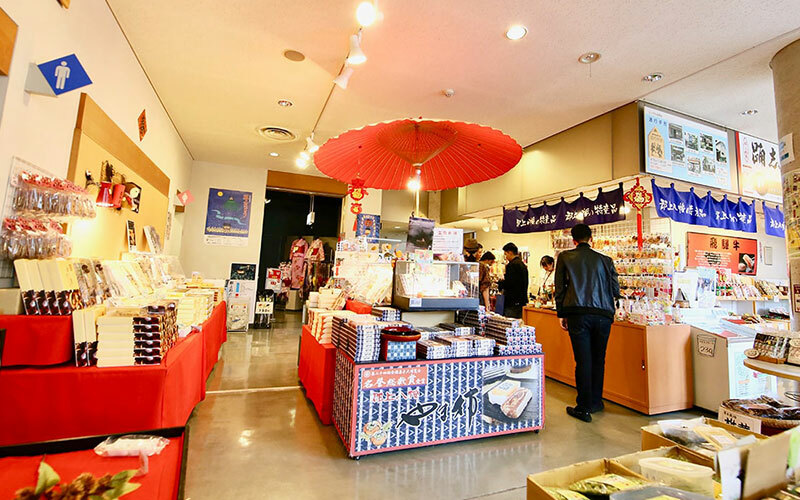 The gift shop has a lot of specialty products of Gujo. Please get products found only in Gujo as trip memory. We have many local brand products. 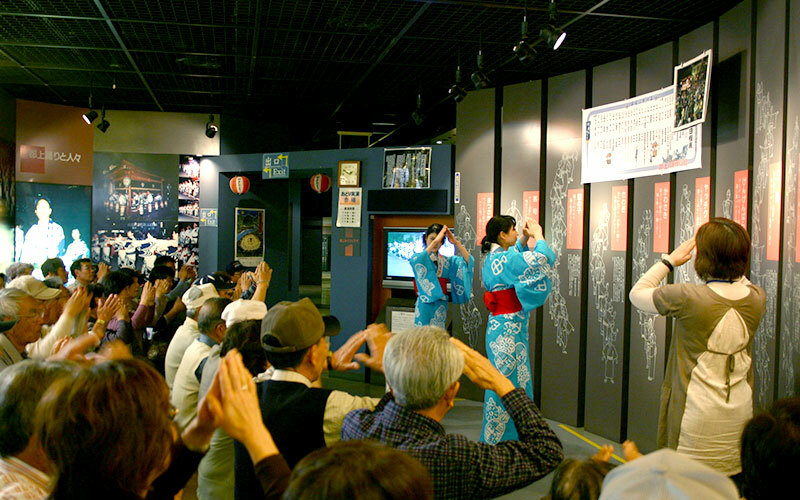 It is the only facility in Japan where you can experience Gujo-Odori dance all the year round. 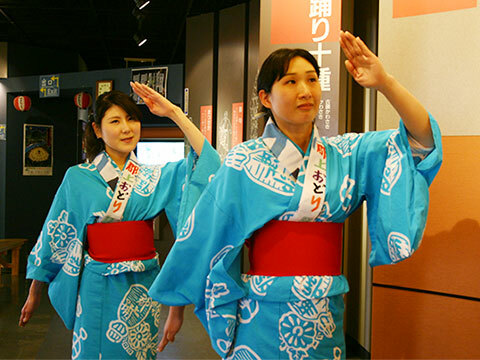 Gujo Odori, which is one of the top three major Japanese folk songs and dances in Japan, has 400 years of history and is very famous for being the longest dance period in Japan. The festival is held everyday for a period of thirty-three festive nights from mid-July to the beginning of September, but it starts from 8 p.m., so it can hardly be seen except the nights in summer. Gujo-Hachiman Hakurankan is the only facility where you can see the demonstration of historical Gujo-odori dance all the year round. 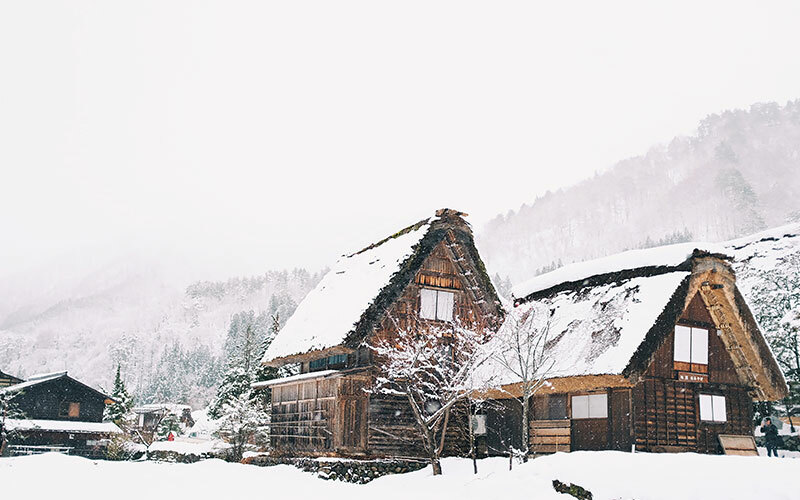 Gujo Hachiman is located in the center of Gifu Prefecture of the center of Japan. 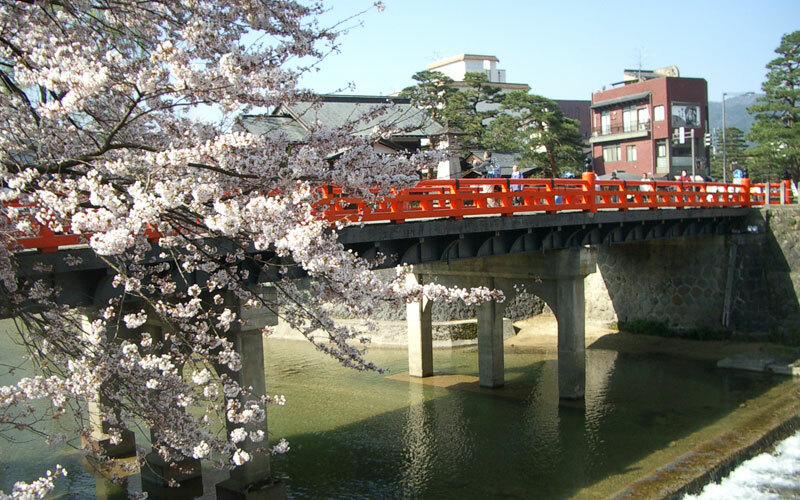 Gujo Hachiman, which has been developed along the Yoshida river which is a tributary of the beautiful Nagara river called a limpid stream for over 400 years. 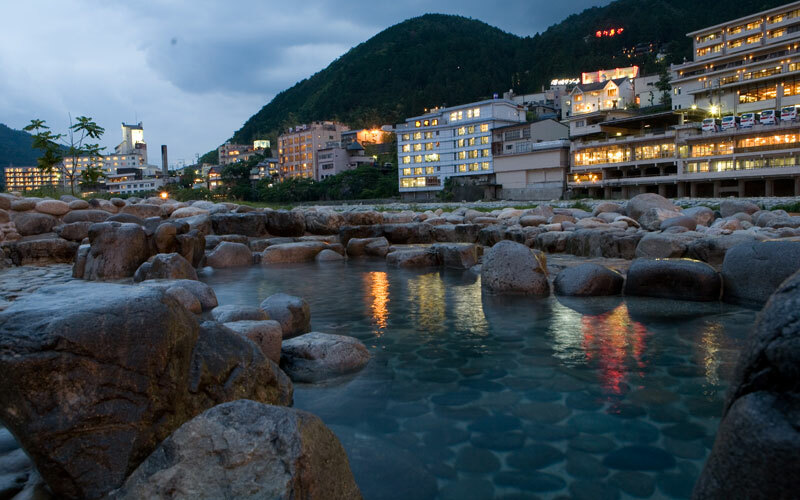 It's a castle town and well known for its clear water and Gujo-odori Dance Festival. it is easy to access to various tourist spots in the Chubu area, so Gujo Hachiman is a very good town for sightseeing. If the Harkurankan parking is full, please use other city parking lots. Please make bus parking reservations in advance. Please make a reservation for group entry and a bus parking from the following application form or telephone/FAX. Please let us know from the contact form if you have any other questions etc.